Fishing is one of the oldest continually practiced pastimes in history. But like almost everything else in our modern era, it too has been greatly influenced by ever-changing technology and scientific advances. With busy lives, it's often impossible for anglers to keep up with constantly evolving equipment. 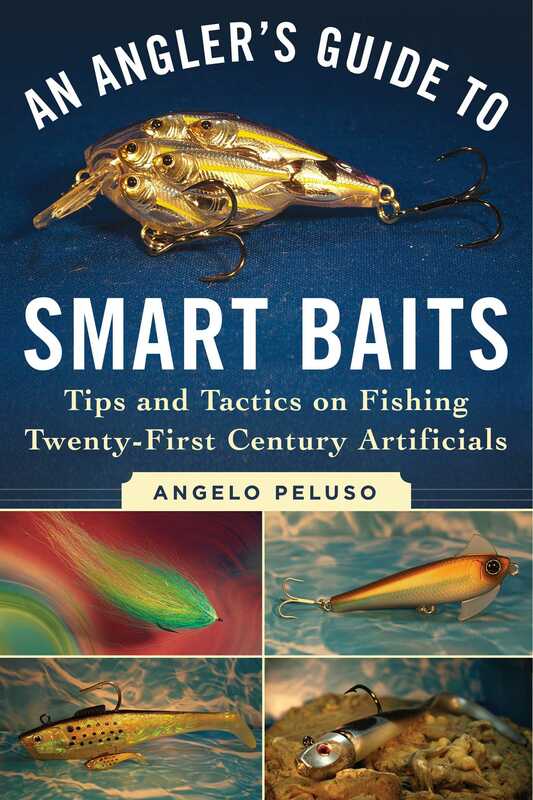 In An Angler's Guide to Smart Baits: Tips and Tactics on Fishing Twenty-First Century Artificials, veteran fisherman Angelo Peluso helps to navigate these often unsure waters of modern baits and how to fish them. Peluso takes readers through all the essential elements. Among the topics he explains, in depth, are: the appeal and purpose of materials used in modern lure construction, including hi-tech, durable plastics, acrylics and other polymers, and new-age finishes that give impressions of life; the modern science of both hard and soft baits; the sensory appeal of modern baits; and how to maximize a bait?s appeal to yield the most strikes and increase an angler's catch ratios. Including advice and input from expert lure designers, scientists, and manufacturers, An Angler's Guide to Smart Baits is an essential read for every modern fisherman. Angelo Peluso has fly-fished along the entire East Coast of the United States, as well as other destinations throughout the United States, the Yucatan, Bahamas, and Canada. He is a frequent contributor to many local, regional, and national magazines and writes a weekly fishing and outdoors column. His four most recent books, Saltwater Flies of the Northeast, Fly Fishing Long Island, Saltwater Flies of the Southeast and Gulf Coast, and Fly Fishing the Surf, have received national acclaim. He is an active member of the Outdoor Writers Association of America and has written for Field & Stream, Fly Rod and Reel, and American Angler. He lives in Port Jefferson, New York.